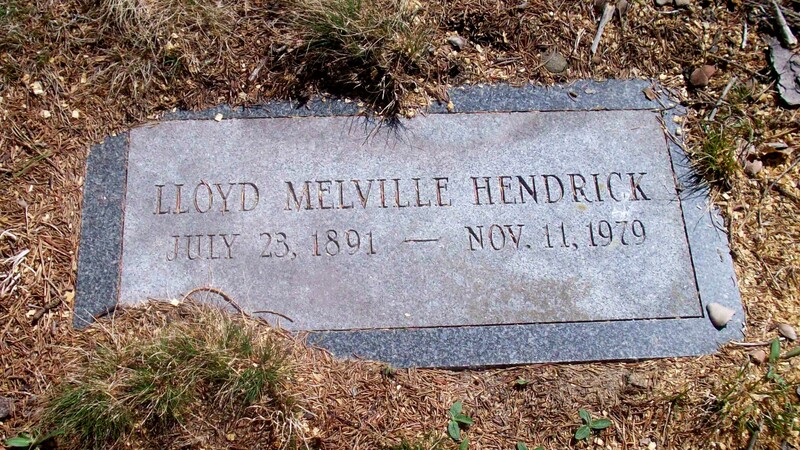 Born: July 23, 1891 in Brooklyn N.Y.
Died: November 12, 1979 in Pocasset Ma. at 88 yrs, 3 mos, 18 d.
1. 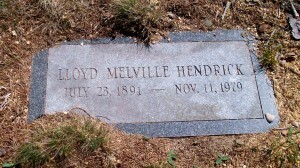 Lloyd Melville Hendrick, lll; (April 22, 1919 – April 15, 1983); Married Arline McClure Ladd (Abt.1922 – ?) (Carl M. Ladd & Marion E. Smith) on June 30, 1943 in Derry N.H.; They divorced. Married (2): February 18, 1967 in Bourne Ma. To: Rita Mae Corbett Barlow; (1895 – 1979) (Newell C. Corbett & Alberta L. Ryer); Rita married (1) Franklin Edward Barlow (1881 – 1966) (Edward Wilton Barlow, Capt. & Elizabeth/Lizzie Wright) in Bourne Ma. on January 15, 1916.